Gary Kemp presents this programme which marks the 40th anniversary of one of the most influential albums ever recorded - David Bowie's The Rise and Fall of Ziggy Stardust and The Spider from Mars. Gary Kemp - founder and guitarist of Spandau Ballet - presents this programme which marks the 40th anniversary of one of the most influential albums ever recorded - David Bowie's The Rise and Fall of Ziggy Stardust and The Spider from Mars, which was released on 6 June 1972. Gary finds out how David Bowie created Ziggy, how the album was recorded, how it changed his life and the influence it had, and still has, on several generations of musicians. 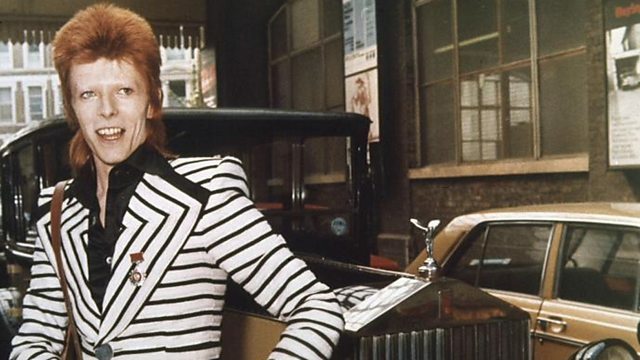 The programme features interviews with the musicians, artists, designers and producers who recorded and toured with David Bowie during his Ziggy Stardust period.